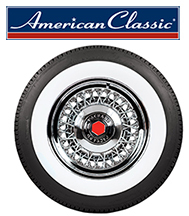 American Classic Tires 760-731-8301. Discount prices. 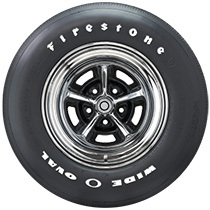 Free shipping in Continental U.S. Steel belted radial tires. Made in USA. Smooth ride. Beautiful whitewalls. 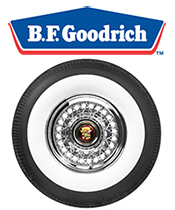 BF Goodrich steel belted radials, bias-ply and radial T/A tires. Free shipping. 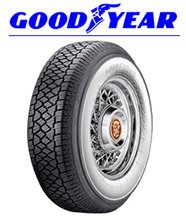 Coker Whitewall Tires - Free Shipping in Continental U.S.
Goodyear steel belted radial tires, bias-ply and performance tires. 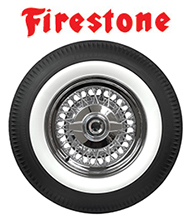 Firestone Vintage Whitewall Tires - Free Shipping in Continental USA. 760-731-8303. 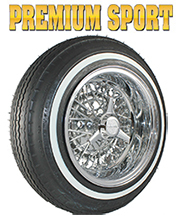 Premium Sport 520 Tires - 13 and 14 inch sizes. Wide and narrow whitewalls. 760-731-8303. Fast and friendly service is a phone call away.